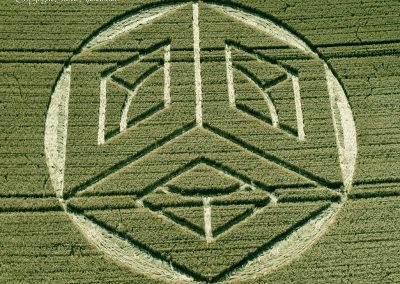 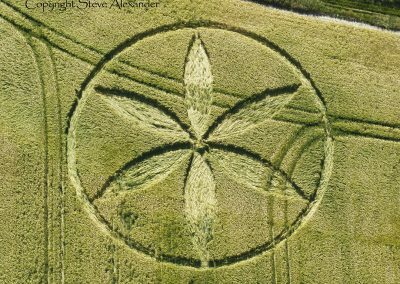 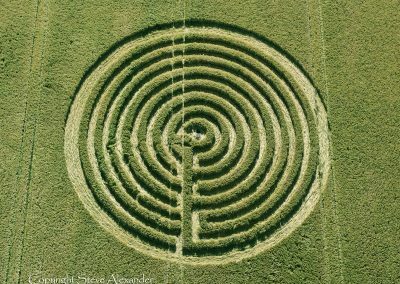 The 2015 crop circle season was diverse, eclectic and contrasting. 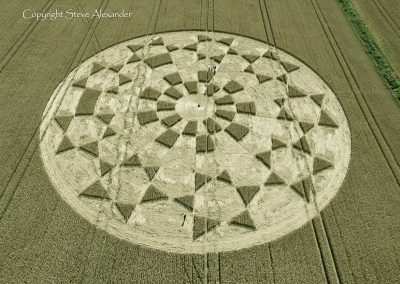 We were presented with a whole host of circle designs and styles, with no particular theme or concept apparent. 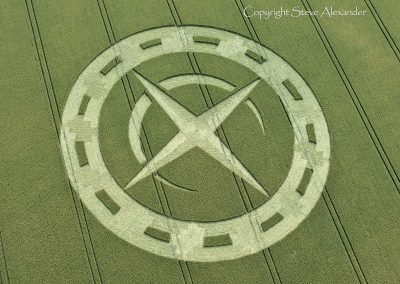 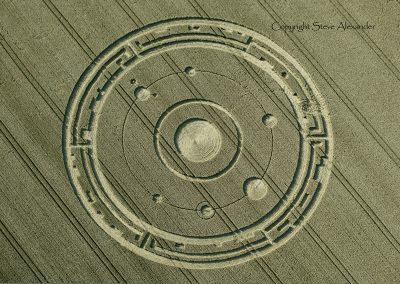 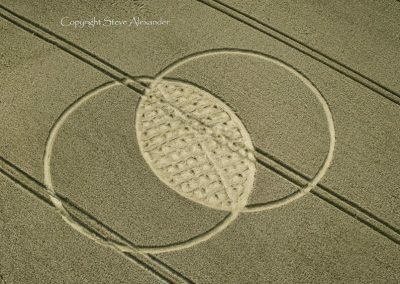 As in 2014, geographically the formations were also diverse with crop circles appearing all over the UK. 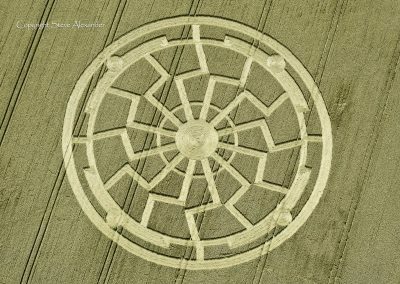 As well as beautiful Wiltshire, formations appeared in Warwickshire, Gloucestershire, Oxfordshire, Somerset, Surrey, Sussex, and Dorset. 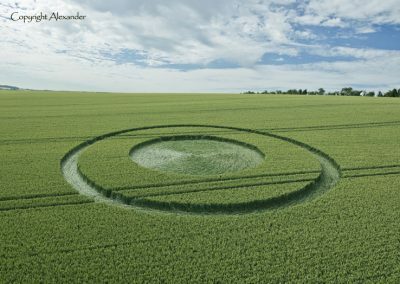 All this diversity made for a really interesting and totally unpredictable season, not knowing where the next circle would occur and where you might find yourself! 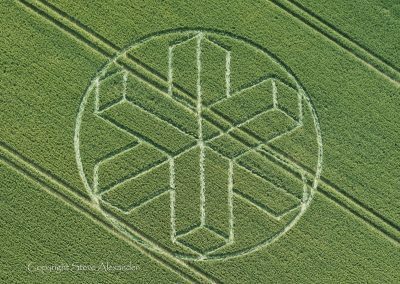 There were many highlights of the season. 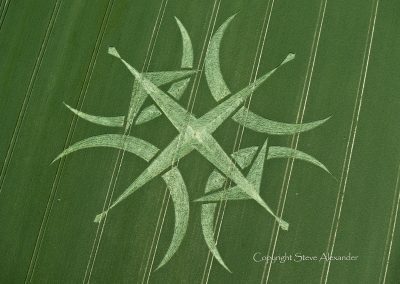 The beautiful emerald green jewel of a rose at Uffcott was a visitor’s delight, the fabulous inverse labyrinth at Redlynch, magnificent stars at Haselor, the Rollright Stones in Oxfordshire, and two birds: the artful Eagle Dancer at Uffcott Down, and the sublime dove at Hampton Lucy. 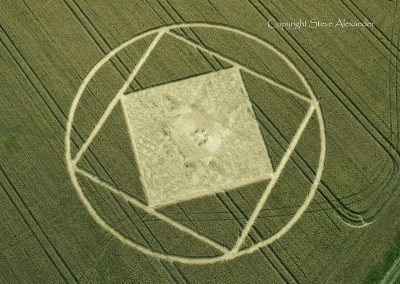 All accompanied by a myriad of circles, squares, triangles, pentagrams, hexagons, pi, phi and magical sacred space. 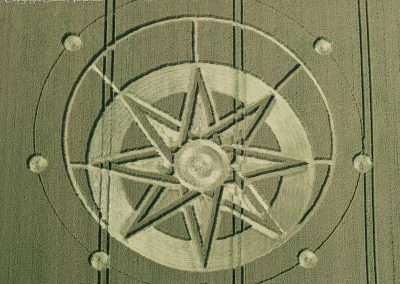 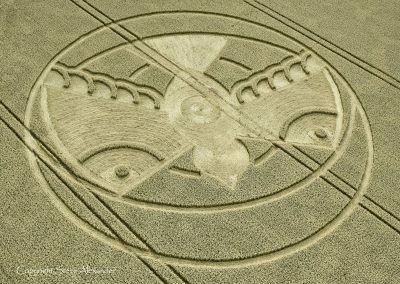 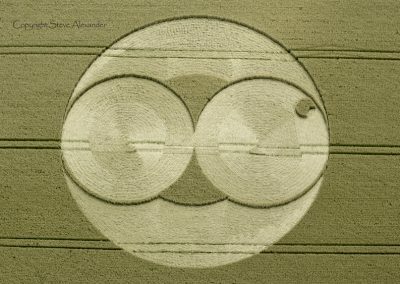 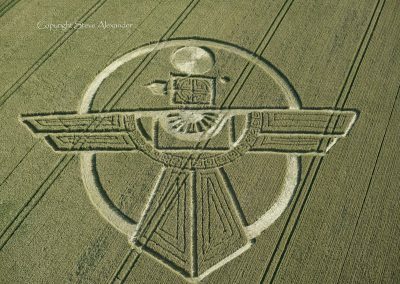 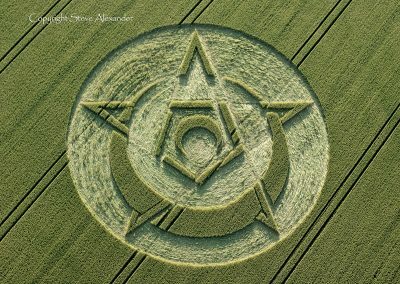 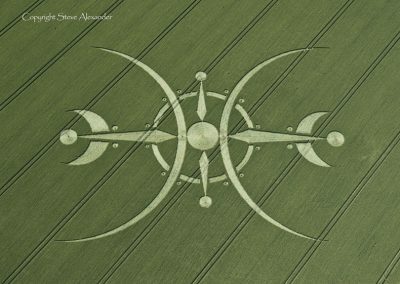 Our Crop Circle Year Book 2015 contains many images from this gallery with commentary text and beautiful drawings – get your copy here.